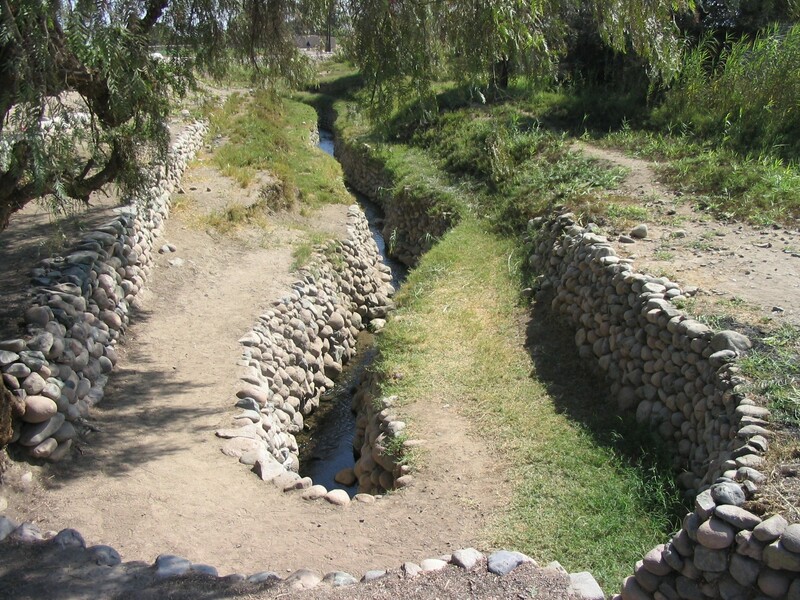 The aqueducts of Nasca are works of hydraulic engineering that we should reevaluate and seek to consider as a marvel of civil engineering, equal to the sanctuary of Tipón in Cusco. 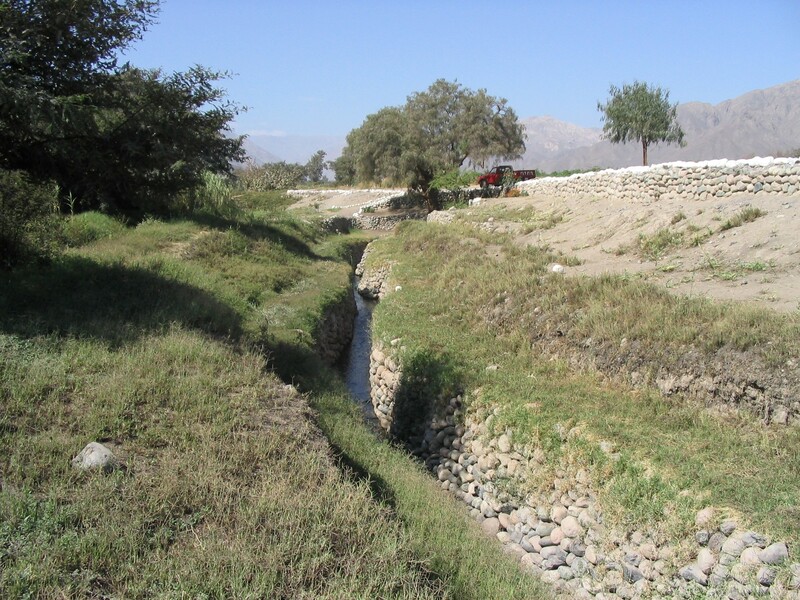 These aqueducts lead the filtration of the Aija, Tierras Blancas, and Nazca through underground stretches and open uncovered stretches. In the covered sections they built funnels in helical sections every certain distance (50, 100, 120 m.), with the end purpose of carrying out maintenance of the ditches and bear atmospheric pressure to water and maintain a uniform flow rate, also preventing erosion or sedimentation in the channel. The funnels have an average length of approximately 70 to 80 steps (about 49 meters) where one can enter relatively easily to take care of maintenance. 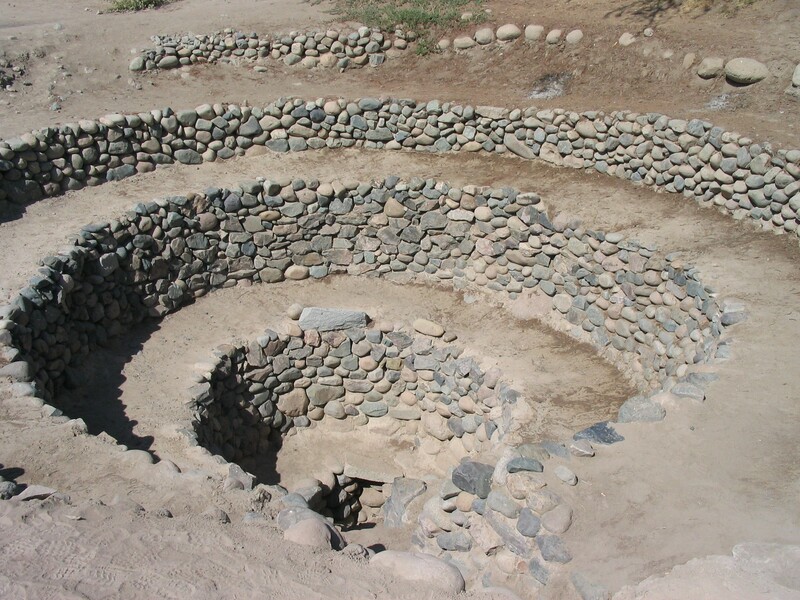 The walls of the funnels are lined with cobble stones, apparently placed without agglomerate, and they maintain their stability in spite of the natural phenomenon that have occurred (last earthquake in Nasca 1996). In the covered sections of the canal, for the roof they used finely placed stone slabs and slots from Huarango trees. The construction of these covered canals makes one think that they knew the techniques of subterraneous topography. How did they manage to follow a suitable direction with an optimal slope that maintained the necessary uniform flow, with the end guarantee of the durability of the structure? 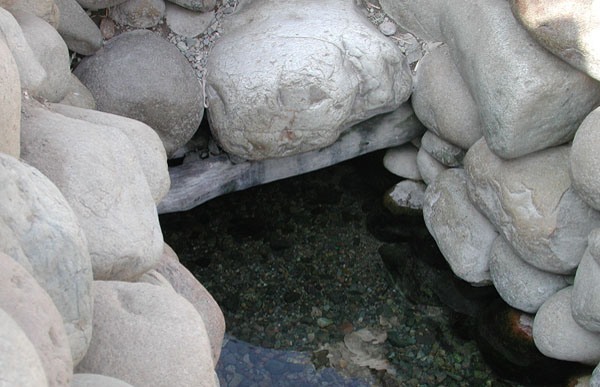 The open stretches of canal they dressed with cobble stones, located in such a way and without any agglomerate, that they have resisted the poundings of nature. 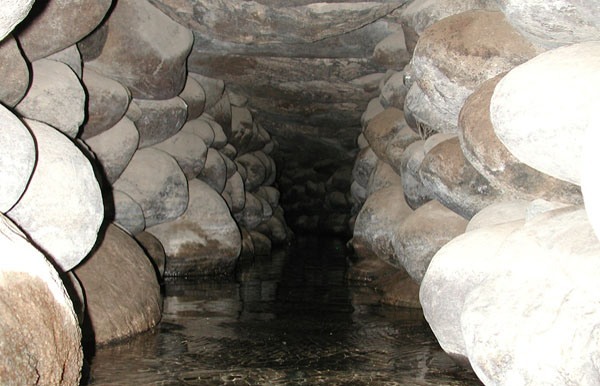 The volumes of water that flow through these tunnels are within the range of 13 to 50 lt/s. 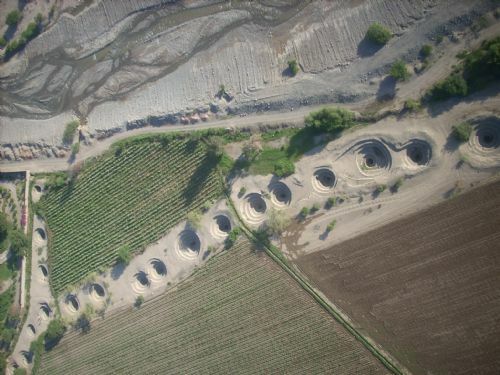 There are more than 30 tunnels that cross through the valley of Nasca and are now in danger because of the urban expansion. The waters that flow through these canals were received in reservoirs or small pools and from there they were redistributed to cultivated fields so that they were able to develop an entire civilization that to this day impresses us.